During the holiday season everything seems to revolve around Santa and visits to see the big man himself which can be slightly scary for teeny ones. It was nice to go to an event that was for under 5s and focused on the elves, there is nothing scary about those considering we have friendly ones visiting us for the full month of December! We arrived at the Gala theatre and were seated on large PE style mats around what looked like an elves workshop. There were an awful lot of little ones present and everything ran smoothly, we weren’t left hanging around for a long time before the event started and considering there was only one lady working the door and seating we were impressed with the whole process. Elf and Elfie appeared quite quickly after the doors were closed and for the first 5 minutes acted out the night before Christmas Eve in complete silence! You could almost feel the ‘uh-oh’ in the air at the thought of it being a completely silent programme, the kids would have gone wild! Thankfully Elf ‘woke up’ and started the narration of what they were doing and where they were etc. 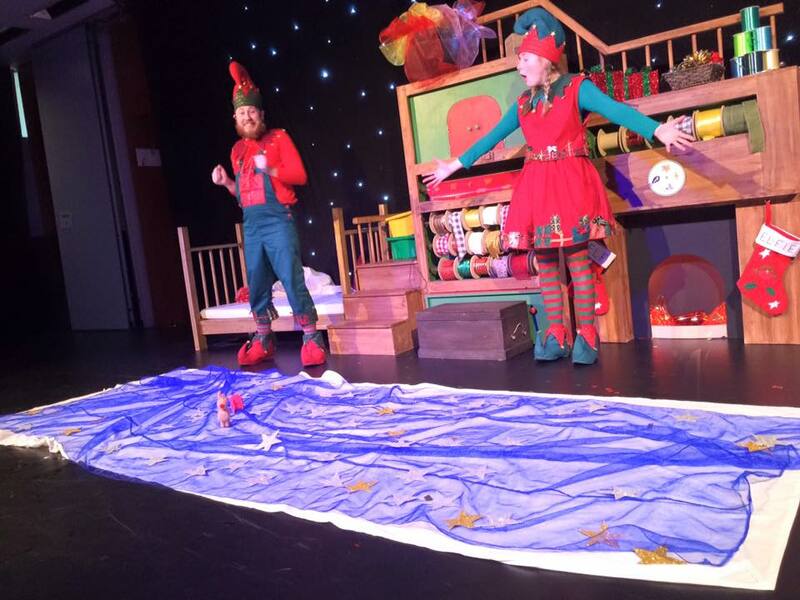 Both Elf and Elfie were very animated, much to the kids amusement, the audience participation was very much welcomed from little ones and parents. 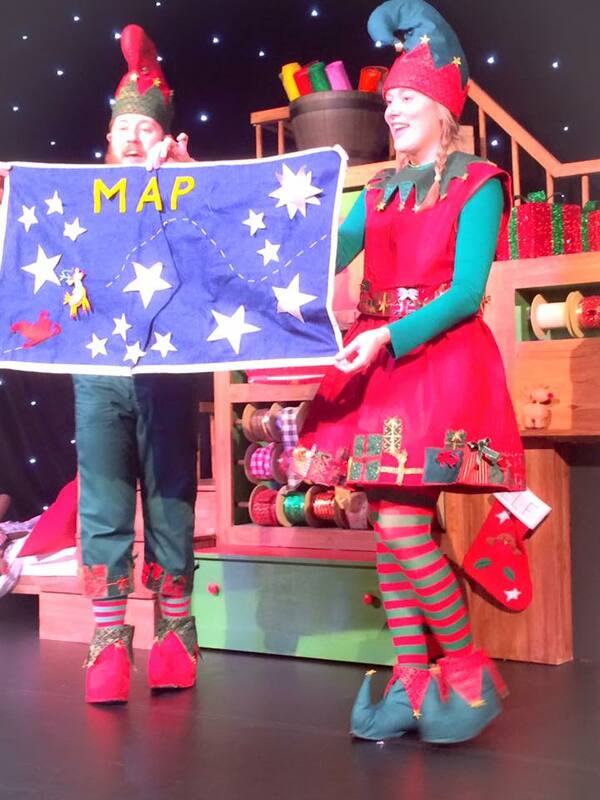 The story is about a starry map that guides the sleigh on Christmas Eve, disaster strikes and the map is torn leaving Elf and Elfie to wonder how to make a new one. 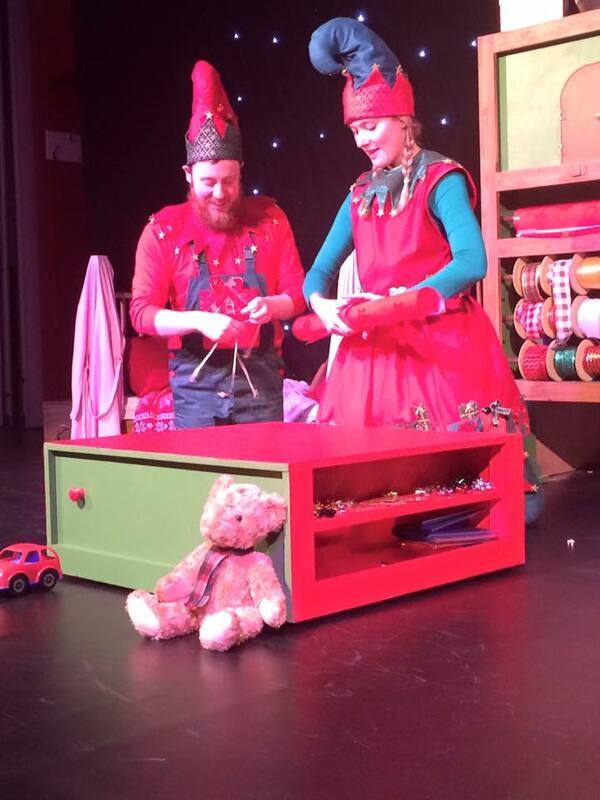 With the help of the children in the audience a new one needs to be made with fabrics, tinkling bells and twinkling stars. Seeing all of the children get to go up and place a star onto the map was lovely and they all enjoyed taking part so much, from the banging of tambourines for the tinkling bells to the picking of the night sky fabrics, returning to their seats with huge grins and yells of what to do next. Not giving anything away about the starry map but it all turns out good in the end! The lady and gentleman who played the elf characters were simply perfect, such charm and patience with the children, explaining everything as they went along and encouraging the audience to be vocal. 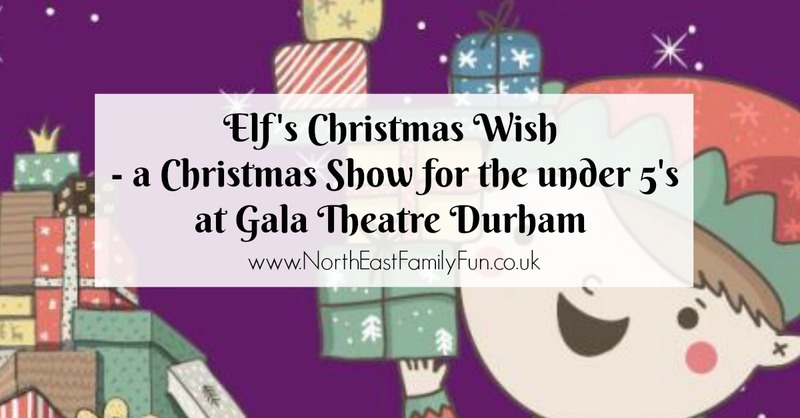 At the end of the show they even sat beside a huge Christmas tree next to the exit and spent time asking each child what they would like for Christmas, such a perfect finishing touch to a fabulous show! Disclosure | Debbie was provided with press tickets in return for an honest review. Thank you for having us Sam, Amelia loved it and it was lovely having one on one time with her for a change. Highly recommend this to others with little ones! I wanted to take mine to this but we couldn't do the dates, sounds good though. My sis is taking my nieces and nephews.